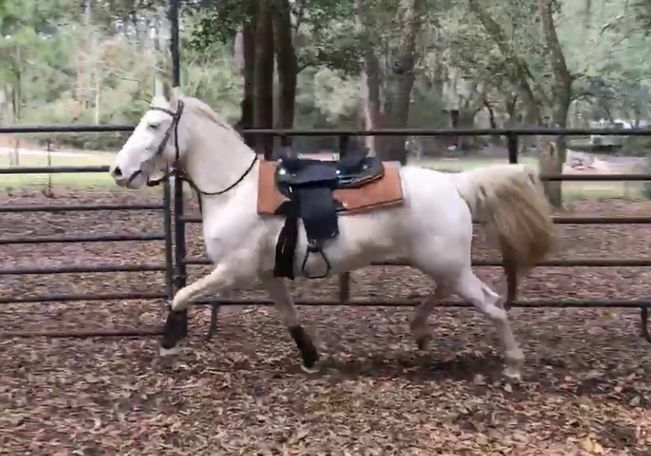 Champagne is a 7 year old Quarter Horse Cross mare that has a friendly and sweet temperament. She stands well for grooming, tacking up, lunges well and is currently being evaluated for being undersaddle. Champagne is slightly marish and comes from an unknown history. Champagne is a sound, healthy and a fancy mover. She is ready to go in any career direction!